CHINCHILLA police and State Emergency Services personnel are searching the Barakula State Forest for a 41-year-old man who went missing there in October. Jason John Vance, 41, was last seen on October 24 in the Barakula State Forest, near chinchilla, where he was camping with two friends. It is believed Mr Vance walked off into the forest and failed to return. Police are concerned for Mr Vance's welfare as his disappearance is out of character. Police have appealed to the general public to assist in locating the Rockhampton man. A ROCKHAMPTON man, described as "friendly'' by his worried family, has gone missing in forest land near Chinchilla in the south- east. Jason John Vance, 41, was last seen on October 24 in the Barakula State Forest, where he was camping with two "friends", police said yesterday. It is believed Mr Vance, who worked as a tiler, had walked off into the forest and did not return. An extensive search of the Barakula State Forest was being conducted yesterday with the help of the Queensland Police Service and State Emergency Services. Mr Vance's mother, who did not want to be named, told The Morning Bulletin her family had reported Jason missing about a week after he had disappeared. She said her son had been living in Rockhampton with a friend before he went on the camping trip. Mr Vance's family is now based in Brisbane. "He trusted a lot of people," his mum said. "He could blend easily into a conversation ... we are just a bit concerned about him at this stage." Police are appealing for public assistance to help find Jason. If you have any information about his disappearance contact Crime Stoppers on 18000 333 000. UPDATE: More than 2000 hectares of state forest have been scoured on the Western Downs as police near the end of their search for missing man Jason John Vance. The 41-year-old has not been seen since he walked into the Barakula State Forest, near Chinchilla, while camping with friends on October 24. South-west district crime and support services officer-in-charge David Austin said about 70 people from police, the State Emergency Service, the Department of Forestry and resource company QGC had helped since the search began last Friday. Detective Inspector Austin said QGC had gifted use of its helicopter on the first day of the search. "They did a terrific job," Det. Insp. Austin said. Since then, searchers have scoured the difficult terrain on foot, horseback and motorbike. He said it was likely today would be the last day of the search for the Rockhampton man. EARLIER: Police are appealing for public assistance to help locate a man last seen in a Western Downs forestry in October. Jason John Vance, 41 from Rockhampton, was last seen on October 24 in the Barakula State Forest near Chinchilla where he was camping with two friends. An extensive search of the Barakula State Forest is currently underway, involving the Queensland Police Service and the SES. AUTHORITIES in Chinchilla have called off their search for missing Rockhampton man Jason John Vance. The 41-year-old went missing in the Barakula State Forest in late October. It was not known when the search for Mr Vance would continue. If you have information contact Crime Stoppers on 1800 333 000. THE search for missing Rockhampton man Jason Vance resumed in Barakula State Forest on Sunday. Forty State Emergency Service volunteers and 15 police from Roma, Dalby, and Chinchilla scoured a new search area of 202.3 hectares (500 acres) near the Dogwood Camp area. Dogwood Camp may have been the last place that Mr Vance was seen alive and well by his associates during a camping trip on October 24. They did not report his disappearance. The police search began in the forest near Chinchilla in late November, after Mr Vance's flatmate and parents reported him missing. At the time, police were under the impression that Mr Vance had become lost in the forest without food or water. One of the people last known to have associated with Mr Vance around the time of the trip was discovered by police on the Gold Coast, while another was found in the North Burnett region. Spaced at 20 metres and carrying GPS trackers, the search personnel plotted a map as they made sweeps of the new area on Sunday. Search co-ordinator Sgt Gerard Brady said the search had again been fruitless, but he said investigations would continue. Members of the public can anonymously contact Crime Stoppers on 1800333000 with information relating to the disappearance. What happened to Jason Vance? IT WAS not unusual for Jason John Vance to disappear for a few days. But when friends of the 42-year-old father of three had not heard from him at all for over a week, they knew something was wrong. A pre-inquest conference in Brisbane on Thursday heard Mr Vance, a known drug user, travelled from his Rockhampton home to Brisbane with a plan to use his tax return to buy the drug ice then sell it. The court heard Mr Vance flew to Brisbane to meet up with drug associates but stayed in touch with his Rockhampton housemate. The housemate, who has not yet been named, told police the last he heard from Mr Vance was on October 20, 2013 when he was going to the Gold Coast. The housemate told police Mr Vance had been couch surfing and at one stage had $1000 and his phone stolen from him. He said Mr Vance was a heavy drinker and could be violent when drunk. The court heard police investigations found Mr Vance spoke to numerous people about making and selling ice on the Gold Coast. Police discovered he eventually met up with a man and a woman and drove in two cars to the Barakula State Forest near Chinchilla. The court heard police found the three planned on cooking drugs in the forest. But after the three got to the forest Mr Vance was never heard from again. The two people who travelled with Mr Vance to the forest said he had wandered off during the night and they never saw him again. The court heard the two briefly looked for him in the morning before they drove away, but left one of the cars. Police found the car which still contained Mr Vance's backpack - but not his wallet or phone. No trace of Mr Vance was found during a police and SES search. The police investigation found Mr Vance is likely dead but could not determine whether he was murdered or died of misadventure in the forest. The inquiry will investigate whether Mr Vance is dead and what happened to him. It will be held on August 3 and 4 in Dalby and August 7 in Brisbane. AN ENCOUNTER with wild animals might have been fatal for Jason John Vance but his death is shrouded in mystery. 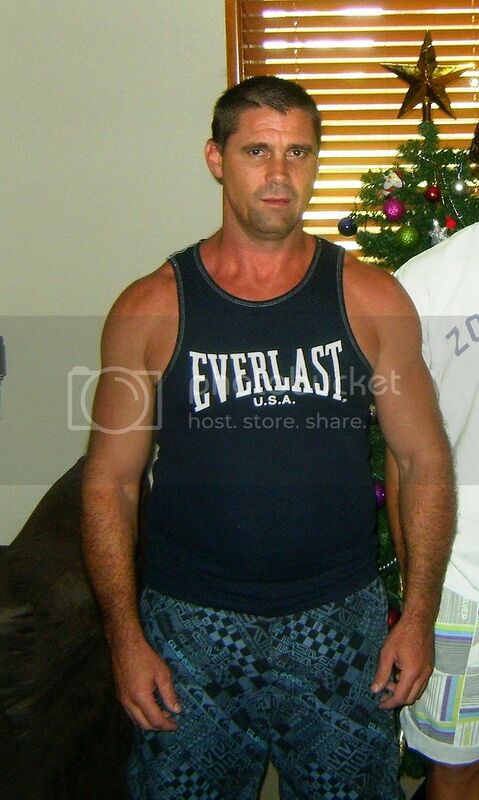 Mr Vance, 42, a Rockhampton father, went missing in October 2013. He had a history of substance abuse but his family loved him, Deputy State Coroner John Lock said in findings published on Thursday. A close friend and housemate raised the alarm after not hearing from Mr Vance for 10 days. The friend said Mr Vance flew to Brisbane about eight weeks earlier, planning to use a tax return to make money selling speed and ice. Police learned Mr Vance went from the Gold Coast to Barakula State Forest near Chinchilla with two other people, Alexander Thornton and Megan Pitt. Mr Thornton drove a stolen vehicle. "Jason has not been seen [since] that night and there have been no signs of life," Mr Lock said. No bank transactions, no medical records, nothing. Police interviewed Mr Thornton and Ms Pitt. Both said Mr Vance went off for a walk and never returned. Mr Thornton said the trio were looking for somewhere to cook amphetamine. "The story from here becomes decidedly bizarre but ultimately a general version of the story is probably correct," Mr Lock said. Thornton's vehicle got bogged down near Monogorilby so he and Ms Pitt stayed in an abandoned house nearby for a few days. Then Mr Thornton left, made it back to the Gold Coast, and was arrested in relation to vehicle theft. With food supplies dwindling, Ms Pitt left the house and was found "dishevelled" on a remote road, Mr Lock said. She was taken to Mundubbera where a friend picked her up. "The story from Pitt and Thornton...is unusual but is corroborated by other evidence," the Coroner added. "The story they gave...is so bizarre that if they were trying to withhold something more sinister they would have thought of a simpler story." Mr Lock said Mr Vance's family were grateful for a thorough police investigation. Rockhampton's Senior Sergeant Benedict Carroll said Mr Vance's last known location was in the Chinchilla area, so Dalby police took over. Cops performed motorbike and horseback searches, in an area known for wild dogs and wild pigs. Chinchilla's Sergeant Gerard Brady got a helicopter involved, and dive squad members searched a creek. But Mr Vance was never found. The Coroner said Mr Vance had a habit of "walking off alone for hours" when high. "Jason may have wandered off the bush track and fallen or suffered an incident with snakes or other predators such as wild dogs and pigs." He found Mr Vance was dead, but from an undetermined cause. 1. Jason John Vance was 42 years old. Jason was regarded as the father of three children although only one was his biological child. Since 2005 two of these children have been cared for by Jason’s mother and stepfather in Brisbane. 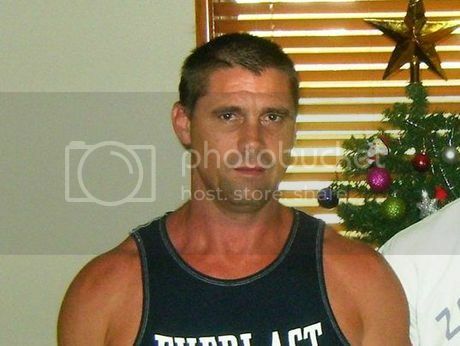 Jason had been a resident of Rockhampton, although at the time he was reported missing it was established he had been staying on the Gold Coast for about two months. 3. Police first became aware his possible disappearance on 31 October 2013, when his parents attended a police station in Brisbane with concerns for his whereabouts. 4. Although Jason would not often be in contact with his parents he would generally keep in contact with his associates. It was one of these associates, a close friend and housemate from Rockhampton, who contacted Jason’s parents to report that he had not heard from Jason in about 10 days. 5. A formal missing person report was completed by the housemate the following day. 6. The housemate was a friend of Jason’s from high school and the two had stayed close friends since that time. The housemate said it was out of character for Jason not to answer or return his calls and that was why he was worried and had called Jason’s parents. 7. The housemate went on to explain that Jason had flown to Brisbane about eight weeks previously, expressing a plan to use his recent tax return to make some money selling drugs, specifically speed (methamphetamine) or ice (crystal methamphetamine). In Rockhampton, Jason had difficulties holding down a job due to alcohol and substance misuse, although he had been usefully engaged in a lawn mowing business his housemate had purchased for him about six months previously. 8. Jason was only supposed to be gone from Rockhampton for about two weeks. housemate asked Jason if he knew when he was coming home, and Jason replied that he had a few things to sort out down on the Gold Coast first. 10. The housemate knew Jason had drug contacts down in Brisbane and the Gold Coast, and believed Jason had been couch surfing with numerous people whilst he was away. During one of their telephone conversations, Jason told his housemate about being robbed whilst he was sleeping one night, losing about $1000 in cash and his mobile phone. Jason’s housemate also mentioned that Jason was a heavy drinker and could be violent and unpredictable when drunk, saying "he would get lippy and not be scared of anyone". However, the housemate had no knowledge of anyone making any threats towards Jason, or any other information as to what might have happened to Jason. 11. Further police investigations quickly established that Jason had in fact travelled to the Gold Coast and appeared to have had contact with various people in relation to making and selling methamphetamine. 12. The police investigation revealed that on or around 24 October 2013, four days after last speaking with his housemate, Jason travelled from the Gold Coast to the Barakula State Forest near Chinchilla, Queensland. The Barakula State Forest is a particularly harsh environment and is said to be the largest state forest in the Southern Hemisphere. 13. Jason was in the company of two other individuals, a male, Alex Thornton and a female, Megan Pitt, both of whom had a history of drug related offences. It is likely Jason had only met these two individuals recently, during his time on the Gold Coast. They drove to the forest in two separate motor vehicles. One was owned by Megan Pitt and Jason drove her and himself in this vehicle. Thornton drove what was later established as a stolen vehicle. 14. Upon entering the state forest area they stopped at an old school hut near the main forestry station, where it appears they intended to stay for the night. However, after speaking to a forestry worker who was in the area, the trio decided to move from the school hut and subsequently parked up on a forestry track. Around this time, it was beginning to get dark. The forestry worker was obviously suspicious of the presence of the three persons who were travelling in motor vehicles generally unsuitable for the conditions and not often seen in the forest. It is evident that by this time Thornton had also stolen some chainsaws from the forestry camp and this had been noticed by the forestry worker. The police were called. 15. What happened that evening is unclear and was a particular focus of the investigation and inquest. Jason has not been seen by anyone since that night and there have been no signs of life. His bank account has remained untouched and his telephone, medical and Centrelink records show no activity. 16. The two individuals who travelled with Jason into the forest were subsequently interviewed by police. Megan Pitt claims the three went into the forest to camp, and Jason went off for a walk into the forest that evening and never returned. Alex Thornton, whilst also initially describing it as a camping trip, later admitted to police that the three of them had entered the forest to look for locations to cook amphetamine from cold and flu tablets containing pseudoephedrine. This is consistent with evidence of paraphernalia commonly associated with the manufacture of amphetamines being found at the old school hut. Thornton also described Jason as having gone off for a walk into the bush and not returning. The pair say they briefly looked for Jason the following morning, but then left the forest, leaving Pitt’s vehicles behind. It had been parked down another forestry track and partly hidden. The remaining vehicle was subsequently searched by police and Jason’s backpack containing his personal belongings (but not his phone or his wallet) were found inside. 17. The story from here becomes decidedly bizarre but ultimately a general version of the story is probably correct. Thornton and Pitt travel in the vehicle stolen by Thornton to an abandoned forestry house near Monogorillby. They were also most certainly using drugs themselves at this time. The purpose was to set up the equipment to make amphetamine. 18. Thornton knew the area having visited an old school friend who was a forestry worker at one time. The school friend became aware of Thornton’s presence and the stealing of the chainsaws and had been in contact with Thornton on mobile. The friend was unhappy his name had become known. Thornton had mentioned to a forestry worker his friend’s name when he had been earlier approached. His friend was concerned he was implicated in the theft by association although he was well away from the area at the time. He nonetheless gave Thornton the directions to this abandoned house. 19. Thornton bogged his motor vehicle near the abandoned house. The pair stayed in the house and he spent some days digging it out. Thornton then left Pitt at the house. Pitt says he said he had to fix a tyre and could not drive with Pitt and her dog in the vehicle and would come back but he never did. Thornton stated that after a few days he said he needed to get back to the Gold Coast to see his child on a contact visit. He also said Pitt was on drugs and was so slow and he was sick of waiting. He said he would contact her friend Julie-Anne Sirolli. Thornton got back to the Gold Coast but was quickly arrested for matters largely involving the stolen vehicle. Other offences including the missing chainsaws subsequently emerged. and then police. She was ultimately taken to Mundubbera where she was collected later by her fried Sirolli. 21. After police received the missing person report from Jason’s family and close friend, and then traced his last known whereabouts to the Barakula State Forest, numerous searches of large areas of the forest were carried out by police and State Emergency Services personnel, including by air, on foot, on horseback and by motorbike. No trace of Jason has been found. Police also examined relevant sites within the forest for any signs of trauma or altercation, but no such evidence was found. Closer to the inquest the police conducted a search with Water Police divers of a waterway close to where it was suspected Jason went missing but no evidence located. 22. Police have concluded that they suspect Jason is deceased, however they are unable to determine a cause. The police report speculates there may have been foul play with some witnesses suggesting Jason may have upset contacts within outlaw motor cycle gangs or others in the illicit drug industry on the Gold Coast. The report also states there was no corroborative evidence to support this scenario. Alternatively, the report speculates Jason may have died as a result of an accident or misadventure, possibly due to him walking unprepared into a large forest at night and under the influence of drugs. As well the stories provided by Thornton and Pitt and in particular what they say happened after Jason went missing were, to say the least, unusual and required further examination. 23. A decision was made to hold an inquest given the unusual circumstances known at the time of completion of the police investigation as well as the inconclusive findings of the police investigation. My counsel assisting and investigation staff then engaged in further investigation strategies and gathering of more evidence and witness statements. Jason’s parents provided more information and suggested witnesses and these were followed up by the police. otherwise contribute to public health or safety or the administration of justice. 25. The inquest commenced in Dalby where local witnesses including Police, SES volunteers, forestry workers and other locals would be called to give evidence. As well I undertook a view of the Barakula State Forest, in the company of police officers, Coroners Court staff and the legal representatives of the family. The inquest concluded in Southport where evidence from the Gold Coast associates of Jason lived. 27. At the conclusion of the evidence I informed the family that I will find that Jason is in fact deceased. What follows is a summary of the evidence that was presented to the inquest. The central issue was whether Jason died from accident or misadventure or whether there is evidence of foul play. Both those scenarios were open having regard to the evidence gathered but my views have clarified after hearing the evidence of the witnesses, particularly of the two people who allegedly last saw Jason. 29. I do not intend to set out in great detail the investigations that have taken place but will comment on aspects of the stages of the investigation. 30. Senior Sergeant Benedict Carroll in Rockhampton was the first person to investigate Jason’s disappearance. He received instructions on 5 November 2013. He commenced by conducting a number of computer related enquiries. He then conducted a number of enquiries after reviewing previous police related occurrences involving Jason and any associates. He reviewed call charge records for Jason’s mobile telephone number. By this stage he became aware that Jason may have been on the Gold Coast. Mobile call charge records also indicated his last calls were bouncing off a tower near Chinchilla. In the meantime other police were following up requests made by him and making calls to other possible associates. A comprehensive picture of events was emerging. By 25 November 2013 police had spoken to sufficient numbers of people to make a call and speak to Megan Pitt. She advised she had last seen Jason when he walked off into the Barakula forest. They were able to follow up with further calls to Alex Thornton and Russell Green. Green was an associate of Pitt and her partner Julie-Anne Sirolli. 31. Accordingly, as it was determined Jason’s last known whereabouts were in Chinchilla the matter was handed to Dalby CIB on 25 November 2013. The information that was handed over to investigators indicated there were suspicions raised as to the disappearance of Jason, which were of grave concern. 32. The investigations conducted by the first response officer in combination with other police who were given certain tasks was an impressive example of investigative collaboration and attention to detail and should be commended. 33. By the afternoon of 25 November 2013 the case was with Dalby Criminal Investigation Branch. Detective Inspector Austin briefed Detective Sergeant Colin Harvey. DS Harvey made calls that day and the next morning to the Officer in Charge at Chinchilla Sergeant Gerard Brady to discuss the possibility of search arrangements. Assistant Search Coordinator. It is not intended to detail the searches that were conducted other than briefly. The overall impression was that this search was conducted swiftly, professionally and in very hot and arduous conditions. One of the added difficulties in locating a body was the known presence of wild dogs and pigs and the likelihood of animal predation impacting, particularly as the search was taking place one month after he was allegedly last seen. Jason’s body was not found nor was any other evidence of his presence such as clothing. 35. Sgt Brady was provided with a GPS location of the last known position of Jason as provided by witnesses Pitt and Thornton. Two further search areas were also identified. A number of scenarios were taken into consideration the planning of the search, including lost person behavior; misadventure; head injury; snake bite; third-party involvement causing injury; or murder of the missing person and subsequent removal of the body. By necessity the search had to be conducted within certain parameters as defined by the last known location and other information from other witnesses. The size of the forest area made it impossible to search in its entirety. 36. Sgt Brady was able to obtain the services of a privately owned helicopter and on 29 November 2013 conducted an aerial search, which covered an area of 1000 ha. 37. On 1 December 2013, three police officers and 16 SES personnel commenced the search. The three police officers used trail bikes and the other searchers conducted foot searches spaced at intervals of approximately 20 to 30 m. GPS devices were carried so that the area of the search could be recorded. 38. On 4 December 2013, 23 police continued the search with a combination of foot searching, horseback searching and motorcycle searching. 39. On 5 December 2013, 16 SES personnel and 15 police officers continued the search on foot, horseback and motorcycle. This also included a detailed search of the Cutthroat Creek bank. 40. On 6 December 2013, 12 SES personnel and eight police officers searched on foot and motorcycle. 41. Consideration was made of a diving search of the Cutthroat Creek area. On the advice of the Water Police further information was requested to identify points of interest including entry points to the creek that may narrow down search areas before divers could be deployed. On 4 December 2013 a number of police officers searched on a horseback the Creek area to identify any potential areas of interest of the water course. This search did not identify any potential areas of interest, which may have been indicative of Jason’s presence. possibly having been accessed by Thornton, Pitt and Jason in the motor vehicles. Four police motorcycles and one officer using a kayak searched the Dogwood Creek area noting the creek was made up of several interlinked water holes of varying size and depth. 43. On 28 February 2015 a number of Police and SES personnel searched the Monogorilby area where it was believed Pitt and Thornton had become bogged and the unoccupied property they had stayed in. 44. On 18 July 2017, eight police and eight SES personnel conducted a targeted search of the banks of Cutthroat Creek. Members of the dive squad also conducted searches of the Creek. No items of interest were located. 45. I am satisfied that police and SES personnel have conducted a thorough professional search in difficult conditions. I accept that parameters had to be set given the size of the Barakula State Forest notwithstanding those parameters were based on information provided by Megan Pitt and Alex Thornton. 46. The only other issue that arose in the context of searches is of the forensic searches that were made. Police attended with Thornton in September 2015 Police at the Barakula State Forest and whilst at the school hut Thornton pointed out a number of items that he had placed in an icebox refrigerator. The items were seized and the officers attending were surprised they had been missed when the area was first searched in 2013. There is no suggestion any forensic advantage was lost and the Scenes of Crime officer attending stated his task was particularly to look at Pitt’s motor vehicle for indications of foul play. They conducted only a cursory look at the school hut and then went to the vehicle. 47. DS Harvey conducted further investigations and these were set out in detail in his statement. He made arrangements to meet with Megan Pitt. He obtained audio of prison phone calls made by Alex Thornton. Later DS Harvey took statements from Pitt and her partner Julie-Ann Sirolli. DS Harvey attended at Wolston Correctional Centre on 2 December 2013 and conducted a digital recorded interview with Thornton. Thornton knew the Barakula Forest area and had been in contact with a school friend and forestry worker at the forest. vehicle became stuck. Over the next few days Thornton endeavoured to dig the vehicle out and when he had done so decided to go back to the Gold Coast and left Pitt at the residence. 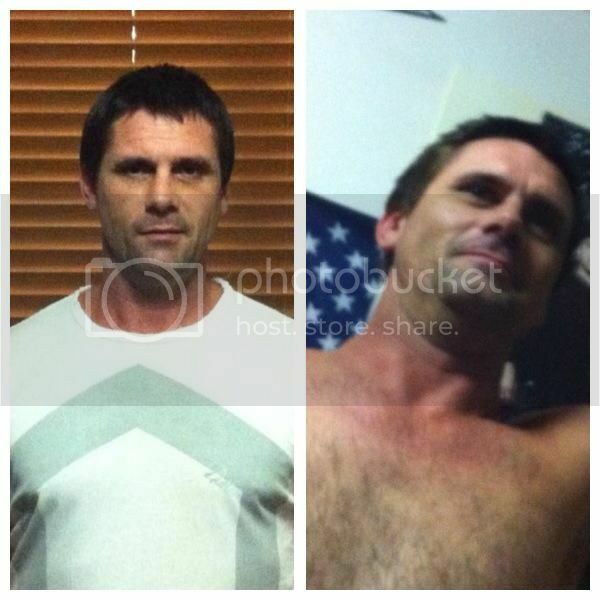 On 27 October 2013 Thornton was apprehended on the Gold Coast and placed in custody. The vehicle he was travelling in was a stolen vehicle and had stolen registration plates from another vehicle and had been involved in a number of offences including petrol drive-offs. It is also apparent that Thornton had been involved in stealing chainsaw equipment from the forestry offices. 49. Two days later on 29 October 2013 Pitt was found in a dishevelled state by a council worker walking along Monogorillby Road with a dog. He took her to the local school. Pitt had some conversations with the Principal Ms Vidler who contacted the local police. DS Harvey arranged for a statement to be taken from the Senior Constable who had contact with Megan Pitt at the Monogorilby Primary School as well as the Principal and a parent who spoke to Pitt at the school. 50. DS Harvey detailed the balance of the investigations conducted by him in his report and subsequent statement. He was in contact with members of Jason’s family on a number of occasions during the investigation but particularly Jason’s stepfather. 51. The deserted property on Heitmann’s Road near Monogorillby where Pitt and Thornton possibly had stayed was identified and searched. There were signs of recent occupancy. 52. Further enquiries led to statements being taken from a number of witnesses on the Gold Coast. Intelligence officers completed an analysis of Call Charge records and further enquiries were made from information obtained but it became apparent the vast majority of telephones were registered under false details. That is not unusual in that cohort. 53. A further interview was held with Thornton. Megan Pitt agreed to accompany police to the Barakula State Forest and this occurred on 21 January 2014. All conversations with Pitt were recorded. 54. Surveillance of Arunta calls at the prison through Thornton continued in this period. In the meantime Thornton had been approached on a number of occasions as to whether he would consent to attending the Barakula State Forest with Police. He eventually consented to this but only after he had been granted parole. Thornton contacted DS Harvey after he was released and they attended the forest area on 30 September 2015.
of the outstanding persons who were identified as perhaps being able to assist had been located and gave statements and attended the inquest. 56. DS Harvey noted in his report that Pitt subsequently made contact with police and forestry in relation to regaining possession of her motor vehicle. Both Pitt and Thornton freely volunteered that Jason had been with them and they provided a largely similar version as to his last movements. 57. DS Harvey stated he had made it clear to witnesses during his investigation that he was not interested in gathering evidence, which may implicate them in particular criminal activity and his only interest was only to find out what happened to Jason Vance. By taking this course he received remarkable cooperation from Pitt and Thornton as well as other witnesses. 58. Although the family have had concerns about the outcome of the investigation and the involvement of Pitt and Thornton and perhaps others, it is my view that the investigation carried out has been very comprehensive. DS Harvey recommended that an inquest be held to assist in determining what has happened to Jason Vance. 59. The inquest was held over five days in both Dalby and Southport. It is not intended to detail the evidence of all witnesses at this stage. Various witnesses provided statements implicating other persons as having some involvement. These allegations were followed up. 60. In respect to Pitt she provided a statement but was also interviewed on numerous occasions and field tape recordings were made. Pitt provided a statement dated 28 November 2013. There are field recordings and transcripts for interviews on 29/10/2013, 27/11/2013, 28/11/2013, and a lengthy multiple transcripts for interviews on 21/01/2014 when she visited the Barakula State Forest. 61. Thornton was interviewed on 2/12/2013, 16/01/2014, 21/04/2015 and 30/09/2015 when he also attended the Barakula State Forest. The calls made by Thornton from prison or received by him were also obtained and listened to by DS Harvey and Counsel Assisting. I listened to some parts that were highlighted as potentially of interest. 62. In all of that material there were no stand out pieces of information that linked Pitt and/or Thornton to taking violent action against Jason. The versions provided by them were largely corroborative of the other. Pitt and Thornton cooperated with the Police. There were some delays in that cooperation but nothing that would be surprising in the context of their drug habits, lifestyle and Thornton’s imprisonment. 63. There were some obviously strange interpersonal relationships and there were various allegations made about various persons and various scenarios put forward. These needed exploring forensically through the inquest process. 64. Fortunately most of the persons on the periphery were able to be contacted and statements were provided or they attended on being served with a summons and willingly gave evidence. One or two witnesses were deceased. There was some inherent unreliability about some of the evidence as it was based on speculation and innuendo and otherwise with little substance to support them. 65. For instance the relationship of Russell Green with Pitt and Sirolli and any possibility he was somehow involved needed to be explored. Given the enmity for Green expressed by Pitt in her conversations with Police it was passing strange that he was the person she contacted for help when she arrived at the Monogorillby School. Pitt also stated Green was very jealous and had a history of sexual violence. Admittedly she had tried to contact others including Sirolli and her sister first. 66. Although Green was spoken to by police at the Monogorillby School he was not been able to be contacted until a few weeks before the inquest when he was tracked down at my request. He was reluctant to give evidence in Queensland as there were a number of warrants outstanding but he did cooperate with NSW Police by providing quite a detailed statement. He gave evidence by telephone from a NSW police station. He left messages after his evidence wishing to clarify some things he said. 67. Although one cannot be certain as to the real story behind the relationships between Pitt, Green and Sirolli, after hearing all of the evidence, I think it can be ruled out based on current evidence that Russell Green had any direct involvement in Jason going missing. I am satisfied he was not anywhere near the Barakula State Forest at the time Jason went missing. Assisting that they met with Mr Fein a week after the inquest and he asked then for some money for further information. They sensibly declined. I do not think Fein had any direct involvement in Jason’s death and I think some of this speculation passed on by him has been unhelpful to the family, unreliable and perhaps mischievous. 69. Megan Pitt was asked in evidence if she had returned to the house with another person. She was vague in her response and said it was possible she visited on her way back to the Gold Coast but said "it was a bit of a blur". I think it is quite likely she did return to clean up the evidence of the drug making. If she did, this was probably before Police were able to identify the property and properly conduct a search. The first response officer who met Pitt at the Monogorillby school is likely to have found the property a week later as he states in his statement, noting it had recently been occupied but nothing unusual was found. The property was not searched forensically at that time. 70. There was an issue concerning whether the local police officer who spoke to Megan Pitt at the Monogorillby school should have done more to escalate the possibility of Jason being missing. As this officer was excused from giving evidence on medical grounds, and this could not be explored with him but we had his statement, a number of field tape recordings involving him and Pitt and other documents including his activity log. It was suggested that this officer was confused about the version of events given by Megan Pitt at the school and she did not specifically say that Jason was missing or lost but simply that he had walked off. Certainly there is no reference to Jason being missing in the initial conversation when the officer spoke to Pitt. In a later conversation Pitt makes reference to Jason wandering off into the state forest and never seeing him again. In the same field tape recording Pitt mentions the missing chainsaws but denies her involvement and that of Jason. She said this on the basis Jason was on foot and would not have taken them unless he had organized for someone to come and pick him up. 71. It is also clear in later conversations the officer is recorded as saying that Pitt’s story was very confusing and he did not know if she was mad or if he had to send people out looking in the bush for someone. His activity log makes reference to his opinion she was knowingly withholding information. the officer there was a missing person and possibly two on the day Pitt arrived at the school although this was not referred to in the statement of the principal. This also could not be explored with Ms Vidler who was overseas and was not contactable. 73. Considering all of the evidence, it is not at all clear whether the police officer was aware of there being a "missing person" lost in the forest or if it was more a suggestion that Jason had left or walked off. On the information he had, and given the confusing story being provided by Pitt who was clearly drug affected, I can understand why the police officer may have been confused and did not escalate the matter to a lost person status. On balance therefor I am not particularly critical of the police officer. With the benefit of hindsight there was a missed opportunity to escalate earlier, but the officer made a judgment, which did have a reasonable basis to it, and even if some action had been taken immediately it is likely the outcome would not have changed as Jason was likely already deceased. 74. One other issue that attracted the investigation’s attention was the reference first made by Pitt to Kara Knudsen as to Jason and Alex having some argument; that Alex and Jason went off together; and Alex came back and said Jason was lost. It does appear that at one point Jason may have lost some of the liquid extracted from the cold and flu tablets that was to be used in the amphetamine cook, by spilling it on the ground. There was some suggestion the dirt was collected so they could potentially still extract what was lost. In her statement Ms Knudsen then stated that Pitt referred to the argument being between Alex and someone called Frank. In her evidence she was able to expand on this to the extent that the conversation was about stealing equipment and was not necessarily an argument or heated discussion. Almost certainly I think this is reference to the confrontation a forestry worker Francis Truscott had with Alex Thornton and Jason after he had discovered a chain saw kept in his motor vehicle and another chainsaw kept in the forestry workshop were missing and the workshop had been broken into. He then saw the two near the school hut and they had a conversation. By this time the forestry worker had called police. 75. There is otherwise little evidence to suggest Thornton and Jason had argued. walked off and was last seen. Pitt only refers to Jason walking off and not with Thornton. 77. There was some speculation that other third parties followed the group out to the State Forest. The evidence supporting such a contention is weak. There was evidence from Neil Stronach and Mark Schimdt who saw a vehicle travelling on the road out from Hippong behind what is likely to be Megan Pitt’s vehicle with Pitt as a passenger and either Jason or Thornton driving. It is unknown if that dark coloured 4 WD utility had anything to do with the group of three. It could simply have been another vehicle in the area. 78. There was also evidence placed before the investigation and confirmed in evidence in Court that Jason had shown a certain propensity, whilst under the influence of amphetamine, to wander off into bushland or parkland and be absent for hours before turning up again. One might have dismissed the importance of this if there was only one reference to it but it did keep being repeated in comments made by a number of witnesses who had personal experience of this behavior or had been informed of it by others. The significance becomes obvious because that appears to be what happened. 79. The versions of Pitt and Thornton as to what happened next are reasonably consistent. It was dark. Jason said he wanted to go for a walk and said he would be an hour, hour and half. He walked down the vehicle track in the direction they had come from back towards the school hut. Pitt and Thornton say he was dressed in shorts, t-shirt and thongs. 80. The next morning they woke and noticed Jason was not there. They drove around the forest for an hour and half to two hours looking for Jason. In separate interviews they expressed the thought he must have kept walking and got a lift back into town. 81. What can be said about the evidence of Pitt and Thornton? In my view their versions if accepted as true would suggest neither of them were directly involved in Jason’s disappearance. They were questioned voluntarily by Police on a number of occasions; they gave lengthy interviews; voluntarily attended at the forest; and they attended court. They gave answers consistent with what each has said previously and consistent with each other. 82. It is accepted that there was a day or two opportunity where they were together and could have concocted a story. The story they gave however, is so bizarre that if they were trying to withhold something more sinister they would have thought of a simpler story. As well they have been interviewed multiple times and a close perusal of those interviews does not disclose anything, which links them to being directly involved in Jason’s death or disposing of his body. Human experience would suggest that if they were lying somewhere in those interviews they would have slipped up, and they didn’t. Certainly they were vague about the reasons why they were in the forest, but that is totally expected. They were however, quite upfront about most else. 83. As well there is no evidence that Pitt or Thornton had any propensity for violence. Thornton’s former girlfriend gave what I consider to be honest evidence when she said Thornton was never violent or angry with her and she thought he was a nice natured person. He did not give an impression in the witness box that would suggest otherwise. His criminal history was redolent with property and drug offences but quite absent with respect to anything suggestive of violence. 84. As DS Harvey, a detective of considerable experience, stated, it would not be expected that a guilty person would leave a vehicle in the forest, which could be easily linked back to the other. They would not leave one of them in a remote location and not return so that the other has to seek assistance from the community and ultimately police. They would not both so willingly nominate themselves as the last persons to see Jason alive. They would not have cooperated to the extent they have, particularly Thornton who was in custody. 85. That is not to say that the response of Pitt and Thornton on the morning after Jason went missing was responsible or reasonable. Most people would have done more. However, Pitt and Thornton were there for an illegal purpose; the three of them did not know each other particularly well; they were ICE users and were under its affects at the time. Pitt was heavily drugged, Thornton simply wanted to leave and go back to the Gold Coast. They really only cared about themselves. Most people would not simply accept the possibility that Jason had walked off and found a lift back to town. Most people would not leave their companion in a remote area in an abandoned building with a vague promise of having her collected later. Most people would not acquiesce to stay in such a remote spot, not knowing the area and without any food or capacity to leave easily. These are people whose moral compass and capacity to reason had been impacted by their drug use and consequent lifestyle. If more had been done by them at that time to report Jason as being missing, the outcome may not have changed, but it was more likely that evidence of what had happened to Jason would have been found, providing early answers to his family. although it is by no means certain this will lead to any more relevant information. Cases can always be reopened in the event that further evidence comes to light. 87. My primary conclusion is that Jason John Vance is in fact deceased. On the evidence before me I find it is most likely Jason died of misadventure rather than foul play, although this cannot be absolutely excluded. The last persons to see Jason were Megan Pitt and Alexander Thornton when he walked off down a dirt road at night in the Barakula State Forest on the night of 24 October 2013. There is no evidence to suggest that Megan Pitt, Alexander Thornton or anyone else caused harm to Jason or have done anything with his body. 88. Although there was speculation that some other people may have wanted to harm Jason, the evidence supporting such speculation is weak. In any event there is no evidence that any of those third persons were in the Barakula State Forest that night or at all. 89. Jason did have a well-known habit of walking off alone for hours in bushland or parkland when intoxicated with methamphetamine and the evidence supports he and his companions were using that substance at the time. That Jason is reported as saying he was going off for a walk for an hour or so is totally consistent with that pattern of behavior. 90. What then happened to Jason after he walked off is still unclear. Despite a very extensive search, his body and any other physical evidence of him have not been found. Jason may have wandered off the bush track and fallen or suffered an incident with snakes of other predators such as wild dogs and pigs. Against this scenario is if that had occurred in the short period after he left the vehicle one would have expected some evidence of him or his clothing being found, as he would likely have been still within the parameters of the search area. It is possible he found his way to the Cutthroat Creek area and fell, making it difficult to find him given the state of the creek is less than pristine. It is also possible he wandered much further than the search parameters predicted and met the same fate further away. It is possible he became lost and died from dehydration in those difficult conditions. These are a number of potential scenarios, and there may be more, but without further evidence, which of those scenarios is correct remains speculative. away from two companions at night in a remote location in the Barakula State Forest. The circumstances that caused his death are unable to be determined.